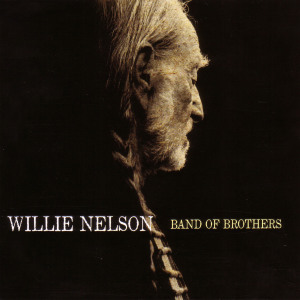 It’s a rather sad state of affairs when an album as bad as Band of Brothers becomes Willie Nelson’s most commercially popular new release in 28 years (since 1986’s The Promiseland). This one has a special twist: Willie is writing new songs. Nine of these songs are new, and it has been about two decades (!) since he released an album of mostly new material. Now, while much has been made of Willie’s new songwriting, it bears mentioning that it’s not strictly true. Willie co-wrote the nine new songs with Buddy Cannon, who also produces. Not that it matters that much, but it is a strong hint that the buzz around this album is marketing-driven rather than musically-driven. The new songs seem decent enough. They recall the writing of the Willie of 40-50 years ago. But the recordings bear almost no resemblance to that creature. This is music that could have come from nearly any country performer today. Willie just happens to be singing. He has outlived most of his long-time touring band, so he’s performing with a lot of relatively new faces. So even though Willie is no longer being lazy when it comes to songwriting, he’s merely become lazier than every about performing these songs. If you want an album that sounds like any other country album, congratulations, you’ve found one. If you want one with its own character, keep looking.